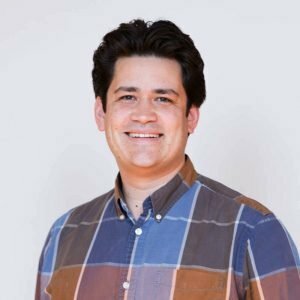 Quentin Ruiz-Esparza serves as Associate Director for Learning Innovation’s Online Duke team, which partners with Duke faculty to develop new models of online and hybrid learning. Quentin leads efforts in identifying new projects aligned to the university’s strategic and curricular goals, forming teams that help faculty design online learning experiences and overseeing financial and operational issues related to Online Duke’s suite of online education offerings. Quentin has also managed special projects for Online Duke: course redesigns for Fuqua’s Global Executive MBA, Duke’s Coursera Specializations in computer programming and creating Tableau dashboards for Duke’s open online courses. Prior to joining Online Duke, Quentin managed a research program in global health policy at Duke’s Sanford School of Public Policy and worked in northern Thailand on issues of human rights protections and statelessness. Quentin studied at the University of North Carolina at Chapel Hill, majoring in Economics.